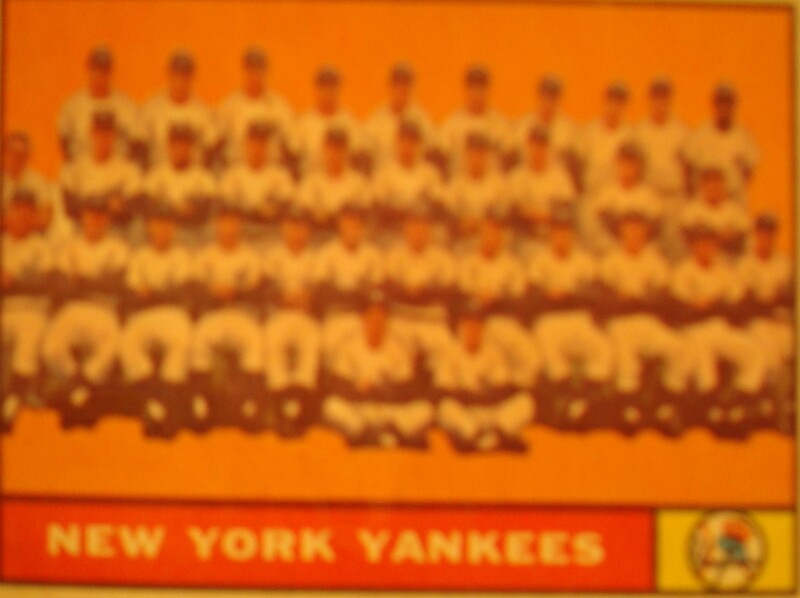 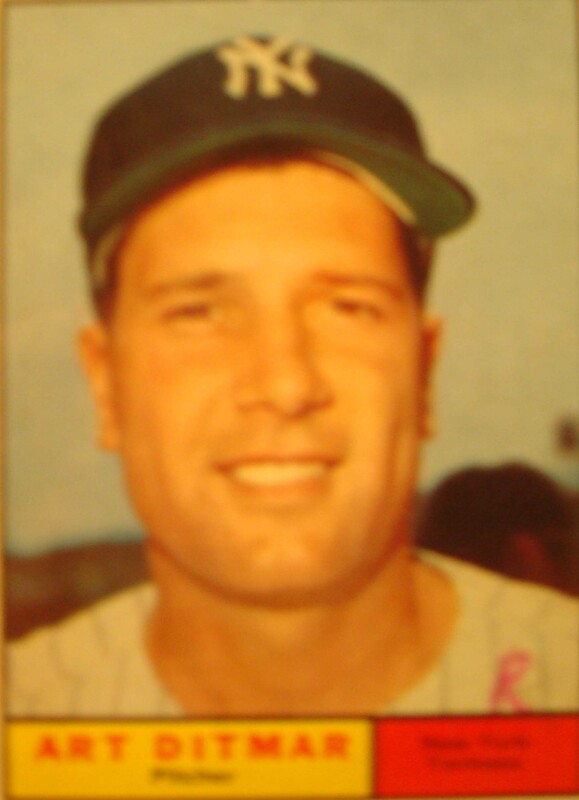 The 1961 New York Yankees season was the 59th season for the team in New York….and its 61st season overall. 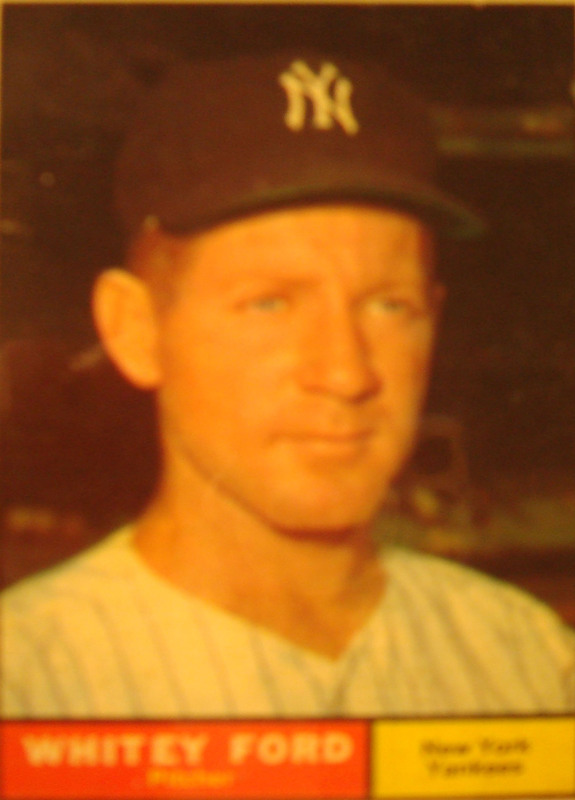 The team finished with a record of 109–53….which were eight games ahead of the Detroit Tigers….as they won their 26th American League pennant. 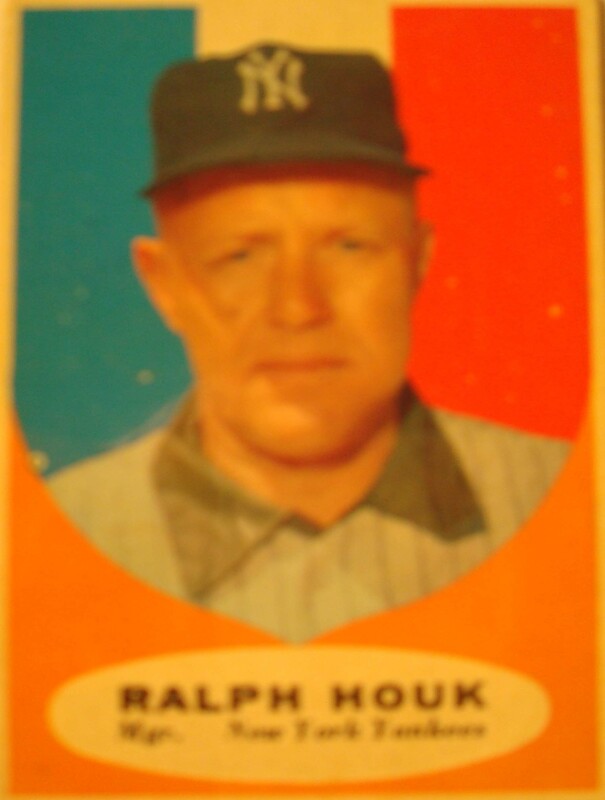 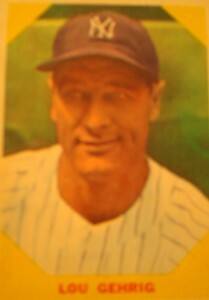 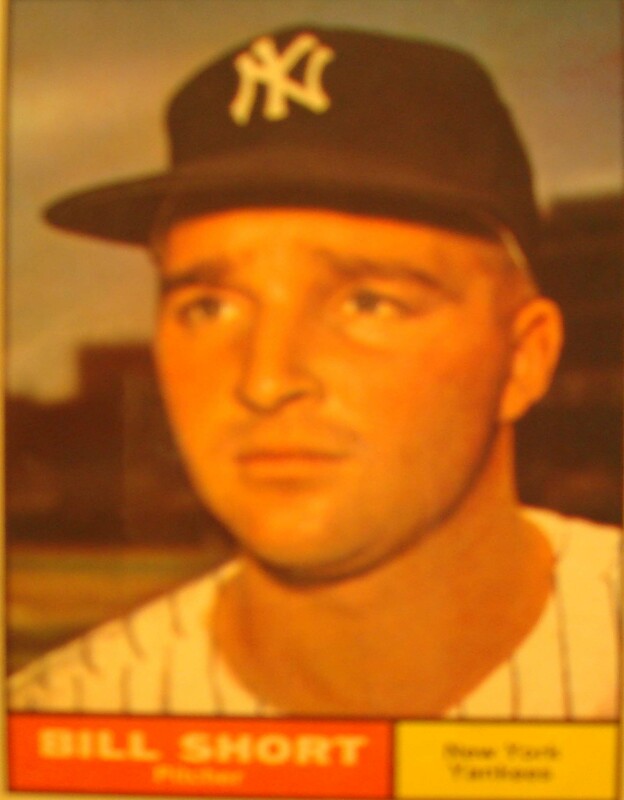 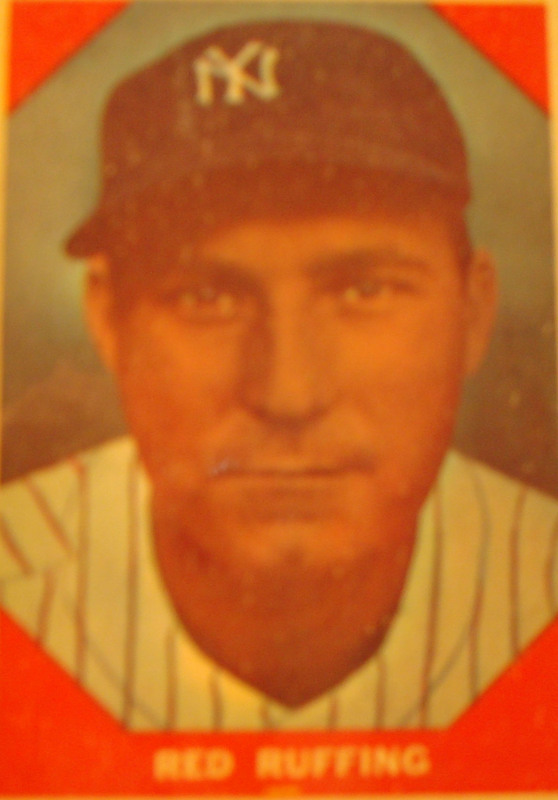 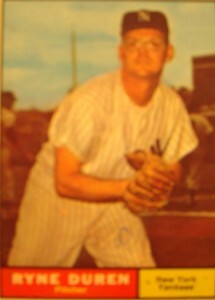 New York was managed by Ralph Houk….while the Yankees played their home games at Yankee Stadium. 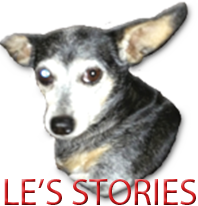 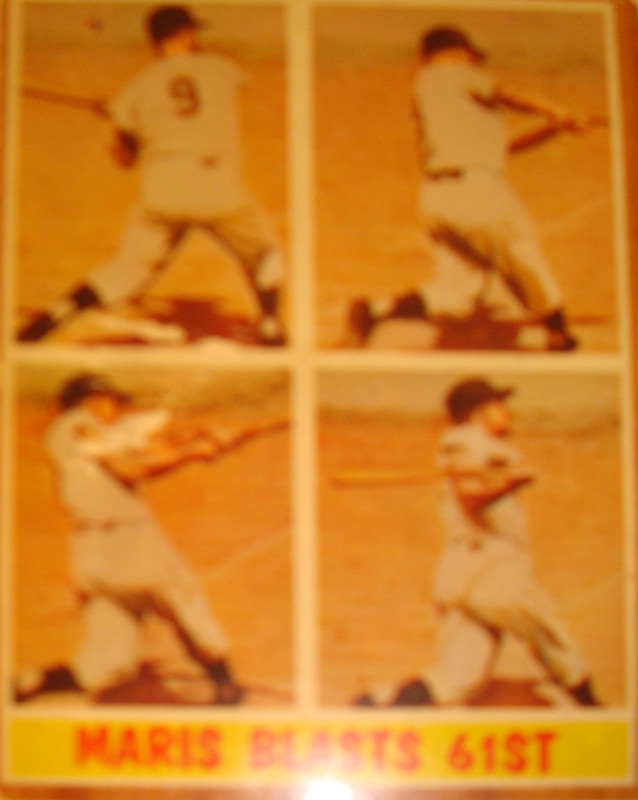 In the World Series, they defeated the Cincinnati Reds in 5 games….to win their 19th World Championship. 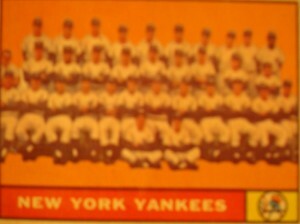 The 1961 Yankees are often mentioned as a candidate for the unofficial title of greatest baseball team in history. 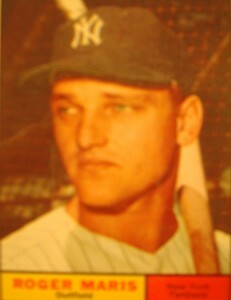 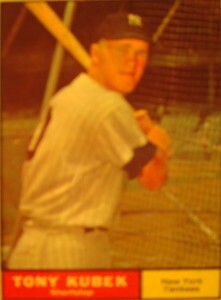 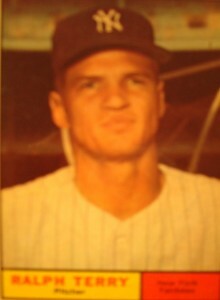 The 1961 season was notable for the race between center fielder Mickey Mantle and right fielder Roger Maris to break Babe Ruth’s record of 60 home runs in a season (set in 1927). 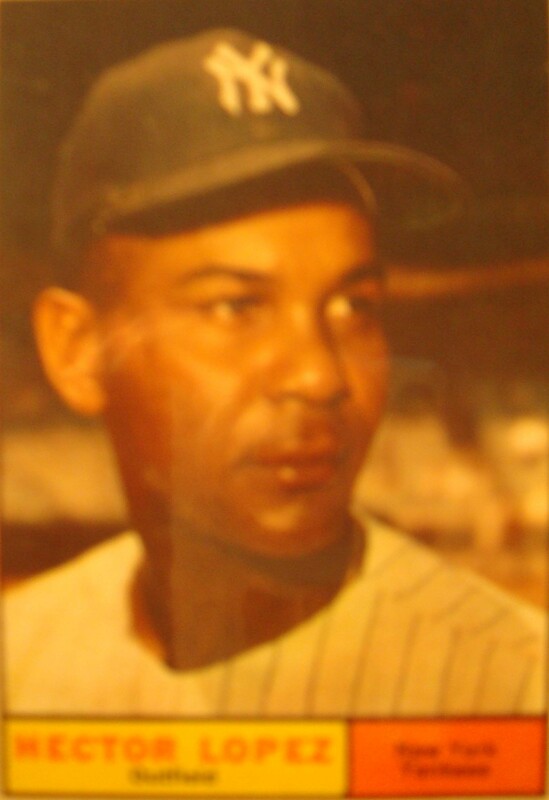 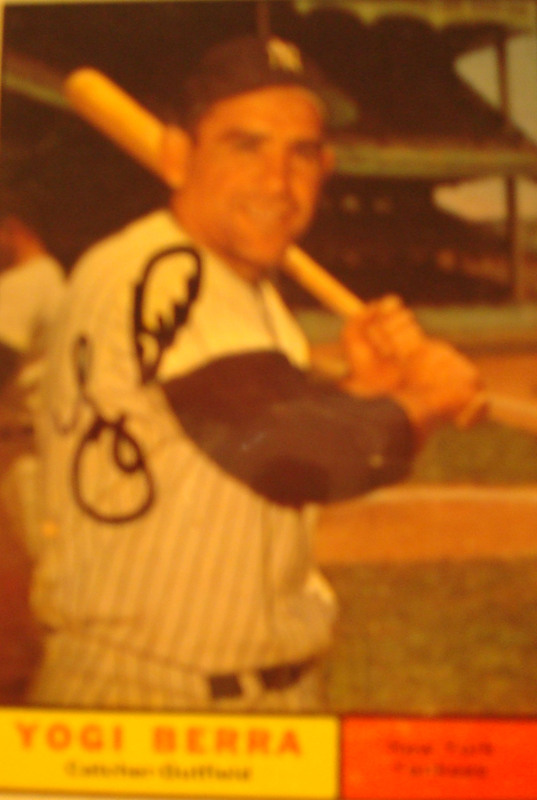 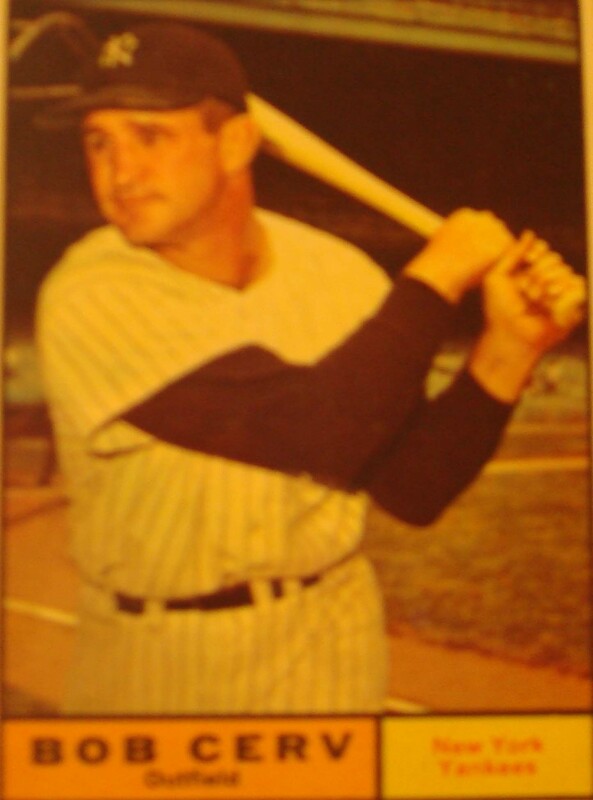 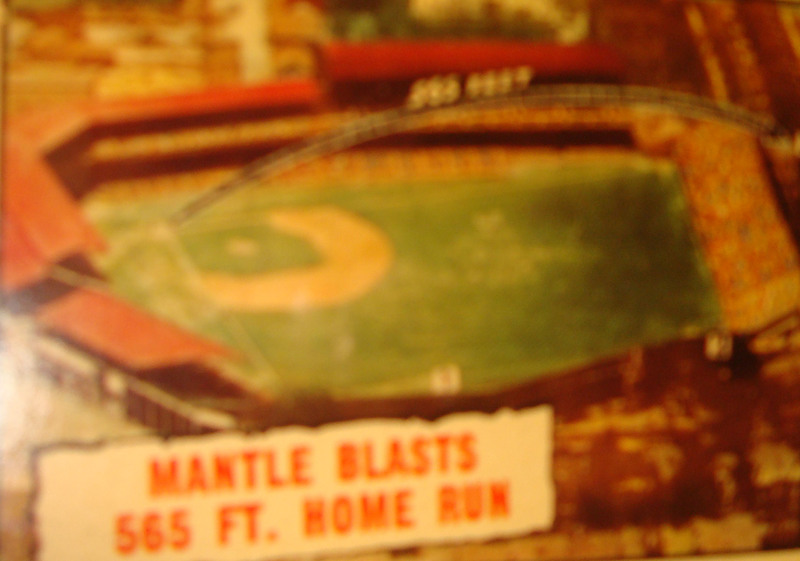 Maris eventually broke the record….hitting his 61st home run on October 1….the season’s final day. During the season, Maris had seven multi-home run games….and in a doubleheader against the Chicago White Sox….he hit four home runs. 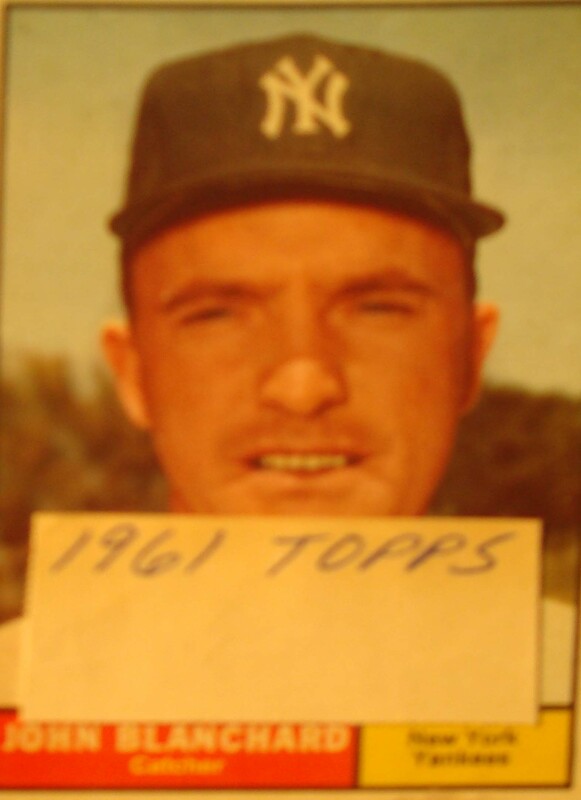 Nineteen sixty-one was also an expansion year….with the American League increasing from eight to ten teams….the first expansion in the 61-year history of the league. The old schedule of 154 games (seven opponents multiplied by 22 games apiece) was replaced by 162 games (nine opponents multiplied by 18 games apiece) which led to some controversy due to the eight extra games that Maris had to try to hit 61. 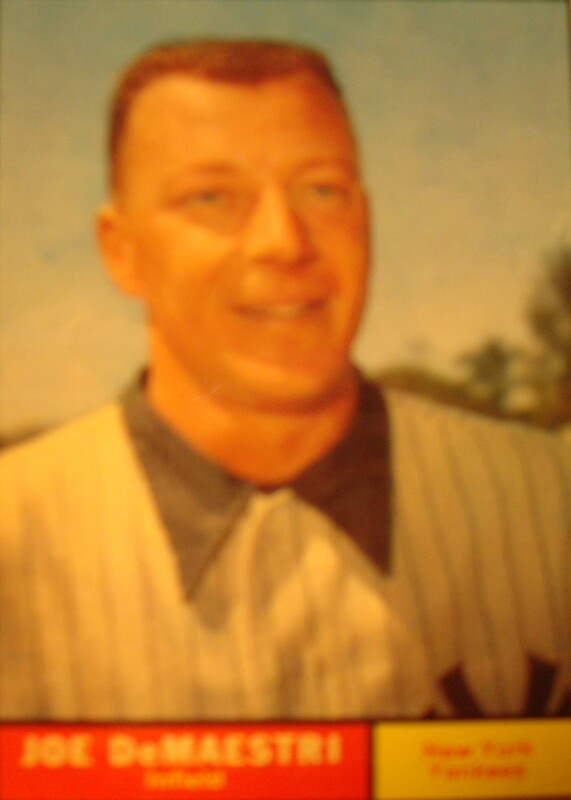 Maris’ major league record stood for 37 years….three years longer than Ruth’s….before it was broken by Mark McGwire of the St. Louis Cardinals in 1998. 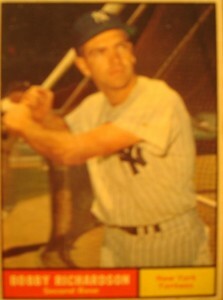 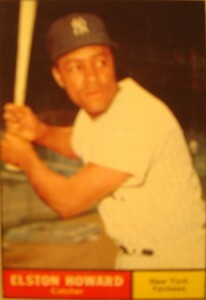 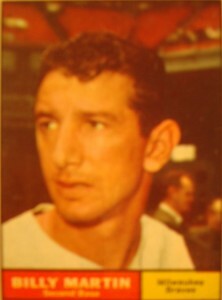 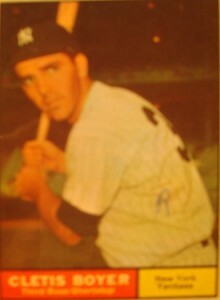 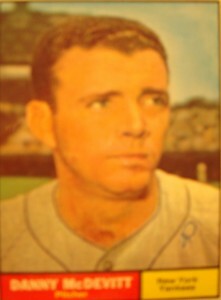 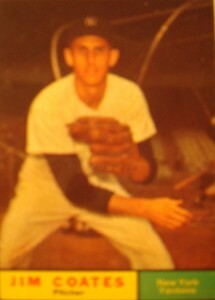 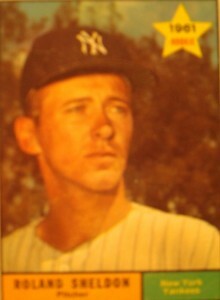 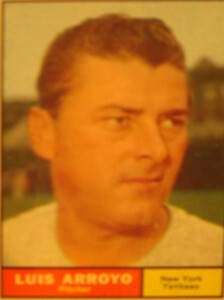 However, Maris’ 61 home runs remains the American League single season record. 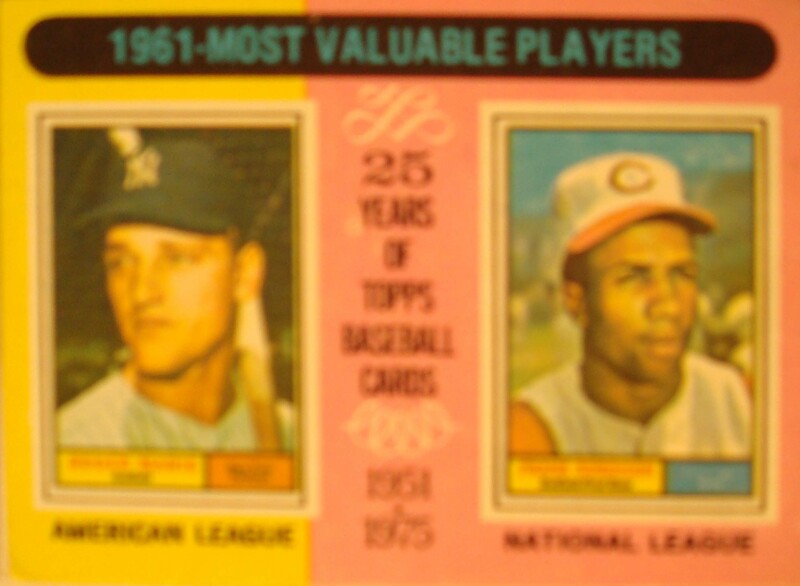 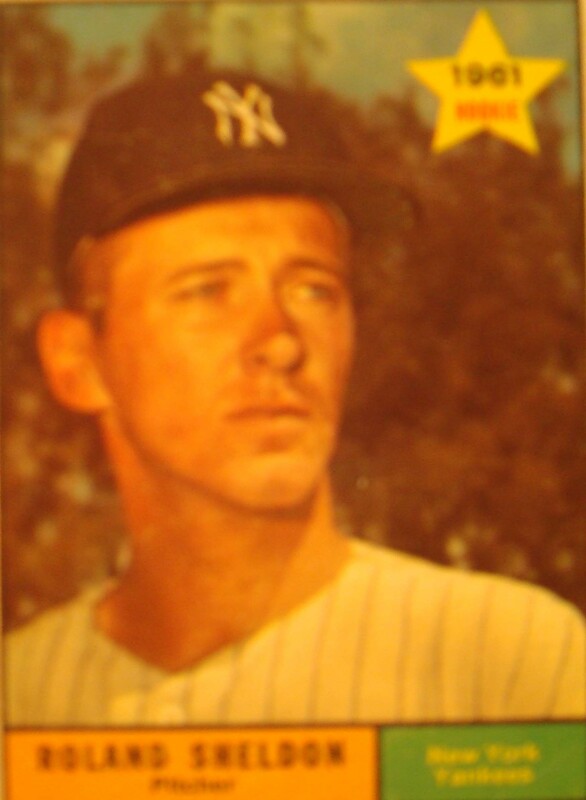 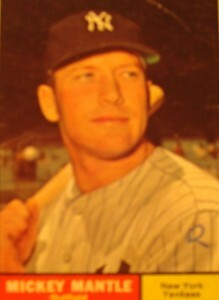 In addition to the individual exploits of Maris and Mantle….the ’61 Yankees hit a major league record 240 home runs. 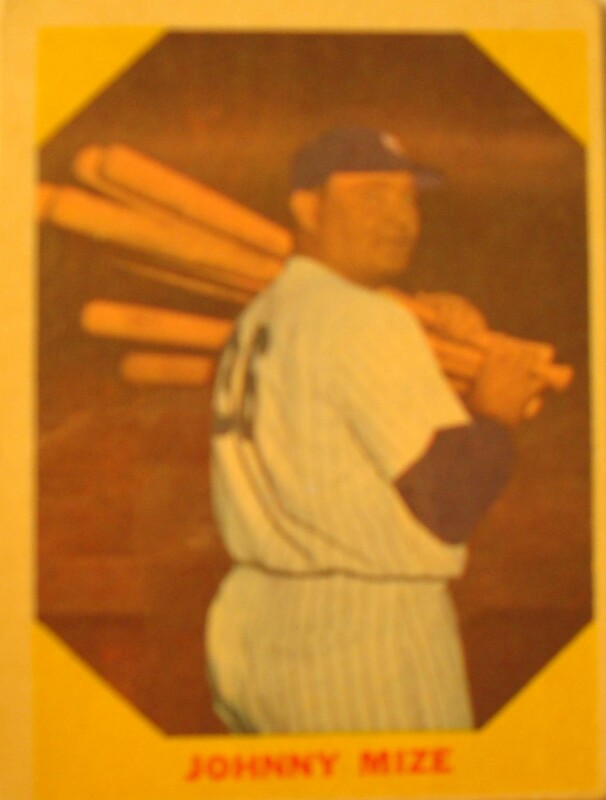 The record stood until 1996 when the Baltimore Orioles….with the added benefit of the designated hitter….hit 257 home runs a a team. 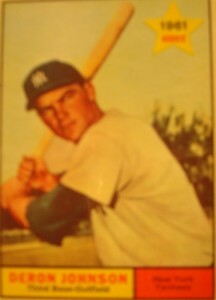 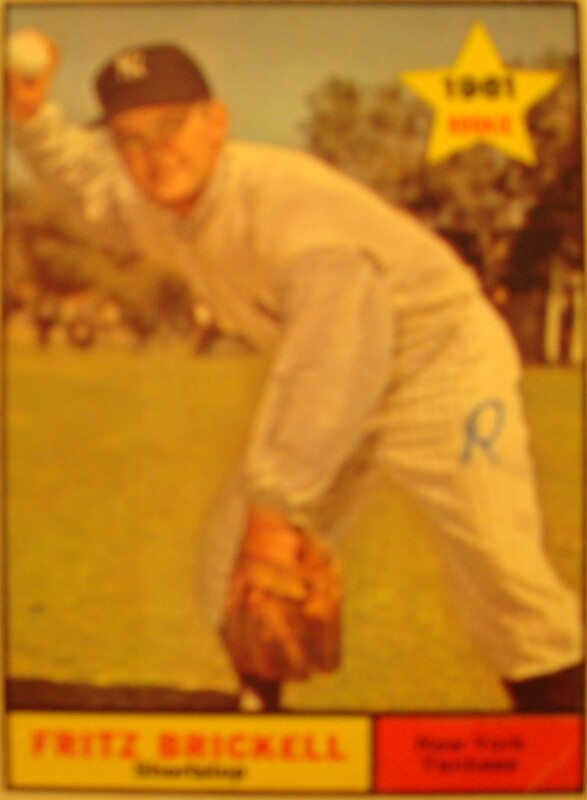 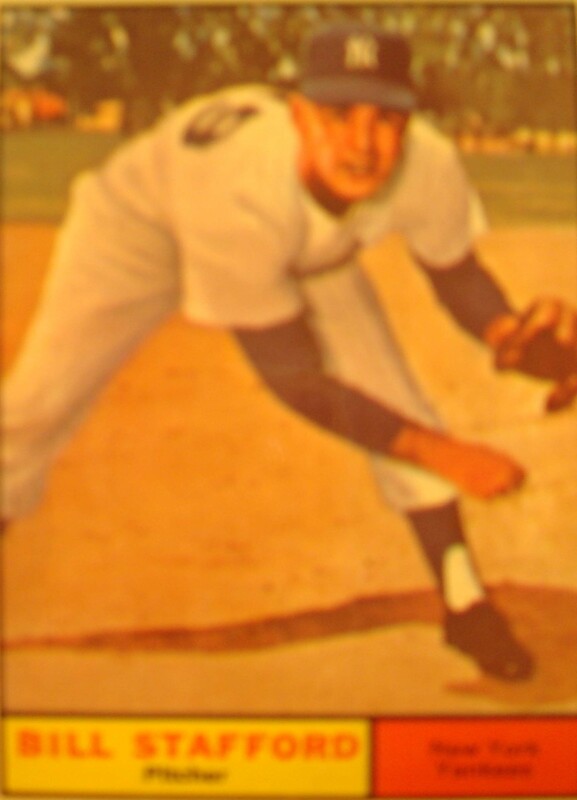 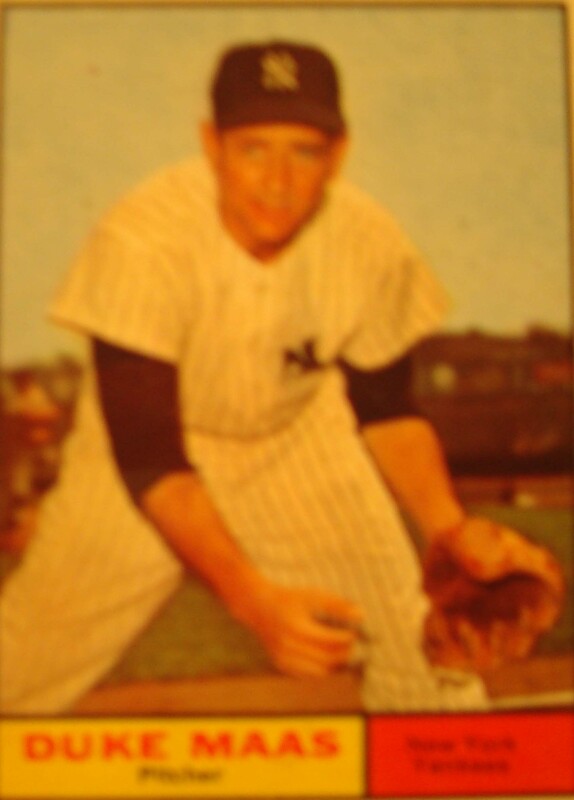 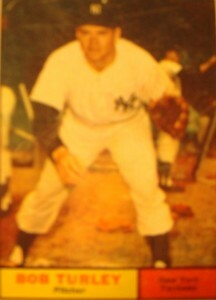 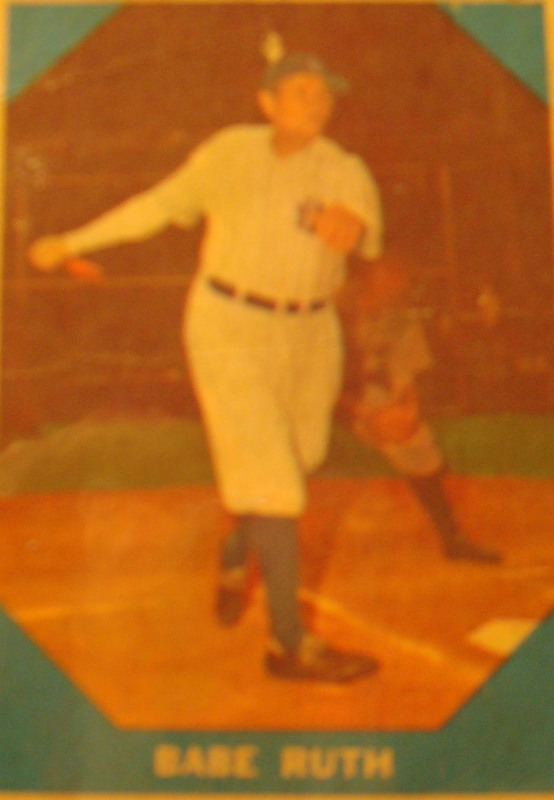 MLB – Original Baseball Card 1961- Remake of NY Yankees Babe Ruth’s 1928 card.